Equity funds saw the most inflows in most (but not all parts) of the world, which hurt bond fund groups like PIMCO, Morningstar said. 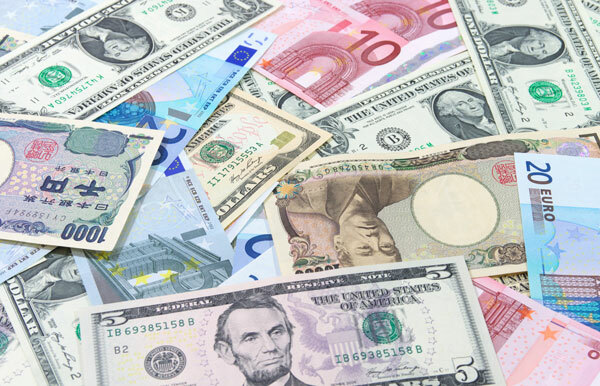 With the Federal Reserve’s tapering signals in May and June, investors worldwide piled into equity funds and sold bond funds in 2013, according to Morningstar’s latest global fund flows report. The taper talk, along with resurgent investor confidence, drove investors to pour a record $976 billion into long-term open-end and exchange-traded funds, the Chicago-based research group says. Global long-term fund assets hit a record $22.6 trillion at year end, up more than $3 trillion from a year ago and more than double the asset level at the market peak of 2008. While 52% of flows went to fixed income funds and 23% went to equity funds in 2009, the situation reversed itself in 2013: equity funds collected 58% of total flows while fixed income flows dropped to 14%, Sylvester Flood and other Morningstar analysts say in the report. “Five years after the crisis, it seems that [central banks] have finally succeeded in popping this fear bubble,” Flood said. “The S&P 500 Index’s 32.4% return in 2013, along with a 27.3% collapse in gold prices, signaled an improvement in investor confidence and a reduced need to hoard gold, which is often held as a hedge against inflation and disaster,” Flood explained. Thanks mainly to developed markets’ central banks, the global fund industry had another “outstanding year” in 2013, according to Morningstar, growing at a 5.1% organic growth rate (calculated as flows as a percentage of beginning net assets) on top of a nearly $3 trillion jump in assets under management attributed to market appreciation of the funds’ underlying securities. Equity fund inflows hit $567 billion worldwide, representing 6% organic growth, the biggest jump since worldwide data started to be collected in 2007, the fund research firm says. Plus, seven of 10 geographic regions recorded inflows vs. four in 2012. Equity funds (64% of asset flows) led the charge in the U.S., with a record $417 billion inflow, driven by demand for international stock funds, continued strong flows into passive funds, and a moderation of outflows from active funds. Overall, bond outflows were close to $30 billion last year. The alternatives fund group “enjoyed the fastest organic growth rate of any category group, albeit off of a small base,” Flood says, with investors preferring the liquidity, transparency and lower fees offered by alternatives within the 1940 Investment Company Act structure. Alternatives had inflows of $49.3 billion — though they represent just 1.4% of total assets, while commodities account for nearly 1%; commodities experienced outflows of $34 billion in 2013. MainStay Marketfield, for instance, took in $13 billion of the group’s $49 billion of inflows. As for the allocation category, including funds of funds, this group makes up 16.1% of total fund assets when funds of funds are included. Over the past decade, allocation funds of funds have grown assets from $99 billion to $976 billion; assets in non-funds of funds in the allocation category group have grown from $404 billion to $1 trillion. The asset level of allocation funds was $50.3 billion—putting them in the No. 2 spot behind equity flows but slightly ahead of alternatives. In terms of fund families, Vanguard welcomed $1 out of every $4 invested in 2013. Combined with strong market appreciation, industry assets hit a record $12.8 trillion, excluding money market funds. The top fund families by inflows were: Vanguard, $130 billion; iShares, $41 billion; Dimensional Fund Advisors (DFA), $23 billion; JPMorgan (JPM), $20 billion; and MFS, $18 billion. By outflows, the “top” fund families were: PIMCO, -$26 billion; American Funds, -$19 billion; Columbia, -$12.4 billion; Janus, -$12 billion; and Hartford, -$9.4 billion. Total net inflows were 274 billion euros. This represented the highest level of inflows into open-end funds (excluding money market funds) in any one-year period since 2007, the report says. All category groups except commodity funds enjoyed positive net inflows. After allocation funds, equity funds reported the best year, with inflows of 81 billion euros, followed by bond funds (61 billion euros) and alternative funds (33 billion euros). Money market funds posted net outflows of 65 billion euros in 2013. The total asset level of open-end long-term funds domiciled in Europe rose to nearly 5 trillion euros from 4.3 trillion at the end of 2012. Allocation funds, though, enjoyed a growth rate of 17.4%, while alternative and convertible funds fared even better, with organic growth rates of 26.8% and 27.3%, respectively. By fund family, record inflows to U.S-based groups included BlackRock, 27 billion euros; JPMorgan, 23 billion euros; and Franklin Templeton, 9 billion euros. Outflows from PIMCO and AllianceBernstein were each 5 billion euros. Over the past 10 years, annual flows have averaged CA$7 billion per annum, according to Morningstar. Flows out of the broader fixed-income category, CA$11 billion, “reflected popular market sentiment that interest rates are likely to trend up from record lows,” the research firm says. Money, however, seemed to flow into the allocation category to satisfy investors’ thirst for yield. They put CA$7.1 billion into these funds in 2013. Equity funds, especially those with U.S.-based stocks, attracted a net CA$2.6 billion. In general, Canadian investors moved out of Canadian-themed products into those with global exposure. “This is a positive, as perhaps investors are recognizing the merits of global diversification,” Flood said. Top fund-family inflows included CA$3.7 billion to Fidelity products, CAD 2.5 billion to ManuLife and CA$2.1 billion to PIMCO. CA$4 billion left RBC products, BMA saw CA$2.2 billion in outflows. Australians sought solace in international equities and credit, Morningstar says. The industry as a whole took in net inflows of 10.35 billion Australian dollars (excluding cash). One Australian dollar is worth roughly $0.90. “This figure includes a staggering AU$17.78 billion net inflows into multisector strategies that benefit from a dependable stream of superannuation contributions (Australia’s compulsory retirement scheme),” the analysts explained. Fundholders took AU$5.79 billion from Australian equity funds and put AU$847 million into global equity strategies. Investors in Australia withdrew more than AU$2.3 billion from fixed-income strategies and AU$205 billion from alternative funds. However, they pumped AU$419 million into property- and infrastructure-focused products. Recovering stock markets stimulated investor interest in equity and REIT funds in Japan last year, Morningstar notes, though momentum faded late in the year. The top two category leaders were funds invested in Japanese equities and Japanese real estate investment trusts. Allocation funds had net outflows of 218 billion yen, and bond funds lost 518 billion yen. Local fund groups dominated inflows, while fund groups with heavy outflows included Legg Mason Asset Management (-150 billion yen) and UBS Global Asset Management (-139 billion yen).